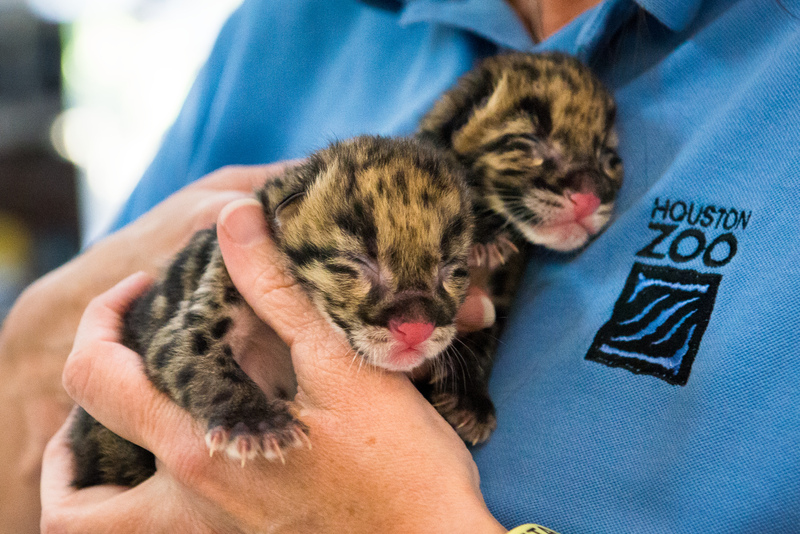 Friday, June 6 was an exciting day at the Houston Zoo as the zoo welcomed two clouded leopard cubs to the family. The unnamed male cubs were born after an unassisted, one-hour labor. After a healthy proclamation by the chief veterinarian, zookeepers began steps to hand-raise the cubs. The cubs began successfully nursing from a bottle within four hours of birth. The cubs are a result of the first pregnancy for two-year-old Suksn who gave birth in a private den off-exhibit. A few hours after birth, the cubs were moved to the veterinary clinic to begin receiving 24-hour care by the zoological team. The pair will remain behind-the-scenes for several months while they continue to grow and thrive. This birth is not only the first birth for Suksn, but also the first clouded leopard birth for the Houston Zoo. This is also the first offspring for the cubs’ father, Tarak, also two years old. Suksn and Tarak have been residents of the Houston Zoo since 2012. Clouded leopards are vulnerable to extinction because of deforestation and hunting. Since this animal is so rare, it is important to do everything possible to ensure the health and well-being of every clouded leopard born in the care of man. The current protocol among zoos is to hand-raise all newborn clouded leopards. Following best-practices from successful breeding programs like the Nashville Zoo and the National Zoo Breeding Facility, our keepers and veterinary staff are extremely well-equipped to ensure these cubs receive the best care possible. The clouded leopard is unusual among the world’s cat species. They are the smallest of the large cats, have the largest canine teeth in proportion to their body size of any other cat species, and their coat is striking, yet so well blended for their habitat, that they are extremely difficult to see. Named for its spotted coat, the clouded leopard and its habit has remained a mystery. They live in an area ranging from the foothills of the Himalayas down the islands of Sumatra and Borneo in Southeast Asia. They are under pressure from habit loss, poaching for their attractive coats and even the pet trade in a number of countries throughout Asia. Clouded leopards excel at climbing; there are few cats in the world which can run up a tree, rotate their ankles to run down a tree headfirst or hang upside down from a tree limb using their long tails for balance. Founded in 1922, the Houston Zoo is an exciting live animal adventure that provides a unique educational and conservation resource serving more than 2 million guests annually. Set in a 55-acre lush tropical landscape, the Zoo is home to more than 6,000 exotic animals representing more than 800 species. Visitors can experience the wonders of Africa at The African Forest, the new 6.5 acre, $40 million addition featuring chimps, rhinos, and giraffes. Travel to Africa. No Passport Required. The Houston Zoo is located at 6200 Hermann Park Drive in beautiful Hermann Park. The Zoo is open daily from 9 a.m. to 6 p.m. during Central Standard Time (last admission at 5 p.m.) and from 9 a.m. until 7 p.m. during Central Daylight Time (last admission at 6 p.m.). The Zoo is closed Christmas Day. Regular admission is $15 for adults, $8.50 for seniors, $11 for children ages 2-11 and FREE for children under 2. Visit the courtesy booth at your neighborhood Fiesta Mart and purchase an adult Zoo admission for $13 and a child Zoo admission for $10. Zoo memberships start at only $65. For information on all the great benefits of becoming a Zoo member visit our Web site at http://www.houstonzoo.org/membership/. Operated by the not-for-profit Houston Zoo, Inc., the Houston Zoo is dedicated to the conservation of endangered species, the provision of engaging educational opportunities and the creation of stimulating exhibits that broaden the experiences of our guests and encourage their curiosity. 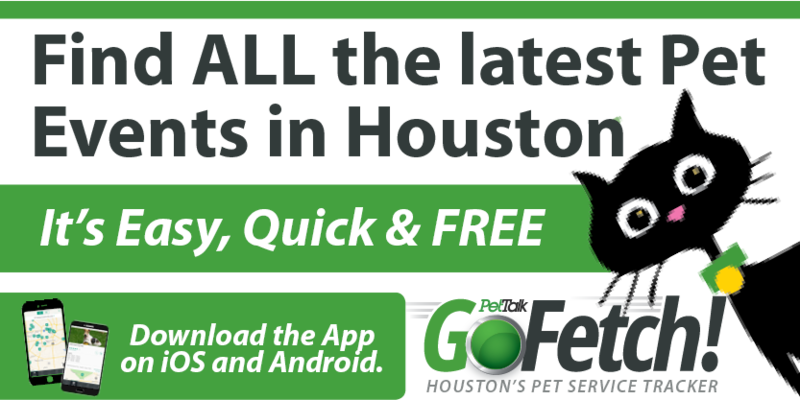 The Houston Zoo is accredited by the Association of Zoos and Aquariums (AZA). Look for the AZA logo whenever you visit a zoo or aquarium as your assurance that you are supporting a facility dedicated to providing excellent care for animals, a great experience for you, and a better future for all living things. With 222 accredited members, AZA is a leader in global wildlife conservation, and your link to helping animals in their native habitats. For more information visit www.aza.org.